Eggbird/Dark Eggbird mould was originally released as Metal Hawk in Microchange "Meteor Robo" series in 1982. The mould was re-used in 1989, as Jacrow in "Majin Hero Legend Wataru" series. 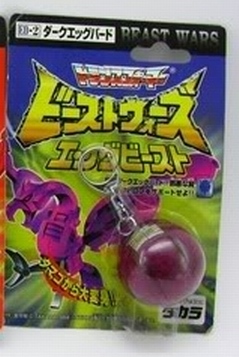 Keychain was added to Eggbeast releases. All times are GMT -4. The time now is 8:32 AM.